Whether you’re a part of Generation X, a Baby Boomer, Millennial, or in your twilight years, healthy teeth and beautiful smiles are assets valued by all. This may be why today, more older adults, than ever before, have all of their natural teeth. However, no matter if you are 2 or 92, the risk for tooth decay and gum disease is always present. So it’s important to understand the unique dental needs every generation faces and how a dental discount plan can help you keep your teeth for a lifetime. As a Millennial, who was born between 1980 and the year 2000, it’s likely you’re fresh out of college and just beginning your career path. You’re more technology savvy than any other age group and almost certainly can’t fathom life without a computer or a “smart” phone. It wasn’t long ago that your parents made sure you brushed regularly, used fluoride toothpaste and kept up with regular dental visits; therefore, your teeth may be relatively healthy. But now that you’re own your own, regular dental care is your responsibility and so is the cost. Because job searches and romantic relationships are key priorities, tooth discolorations and crowding or overlapping teeth could hurt your prospects, making your dental concerns more cosmetic in nature. Teeth whitening and porcelain veneers, can take care of these problems, but be aware — these can be pricy procedures for Millennials just starting out. Those of you between the ages of 37 and 51 are now called Generation X. If you are a part of this group you’re likely a well-educated, hard worker with a family and an inclination towards disco music. As a parent, you not only have to be concerned about your own dental needs, but also those of the family. And if lucky, you may have a comprehensive health care package through your employer that includes dental insurance. Keeping your kid’s teeth in tip-top shape, with routine dental visits that include cleanings, fluoride treatments and sealant applications, can strain the family budget — even with dental insurance. Not to mention the fact that you may have a teen who is in braces and one who needs his wisdom teeth removed. And this is no time to skimp on your preventive visits, considering that almost half of Americans over age 30 have some form of gum disease. For you boomers who were born between 1946 and 1964, you probably still remember the hula hoop sensation, and your music taste may span from Elvis Presley to the Beatles. While you look and feel younger than you are, after many years in the workforce and raising a family, retirement is looking good. However, dental work that you had done 10 to 20 years ago might need replaced about now. Old silver fillings often crack and leak and either need redone or more extensive treatment to save the tooth, like root canal treatment and a full-coverage crown. Partial dentures, fixed bridges or implants are replacement options if you’ve lost any teeth. And if you’ve been struggling with gum disease, your dentist most likely will recommend periodontal treatment. So staying on top of your dental care now is key to a more carefree retirement. Anyone born before 1946 is a part of the generation frequently referred to as Senior Citizens or Mature Adults. And if this is your generation, you may have been a child during the Great Depression or a veteran of World War II, and Frank Sinatra probably still holds a special place in your memories. Unfortunately, as an older adult, a decline in your health or serious illness can increase your risk for dental complications. Diabetes, for example, can worsen gum disease, and cancer and chemotherapies often cause mouth sores and an increased risk for tooth decay, as does taking medications that dry the mouth. And changes in your weight due to sickness can cause ill-fitting dentures or partials. Scheduling dental appointments may be challenging if you are no longer driving, and arthritis and other disabilities can make brushing and flossing very difficult. And sadly, as a retiree with no dental coverage through Medicare, basic dental treatment may be unaffordable. However, continued care is vital in maintaining your oral health, as well as your general health and quality of life. •Monthly premiums are inexpensive, and all dental fees are discounted from 5% to 50%, as long as treatment is provided by a dentist who participates with the plan. 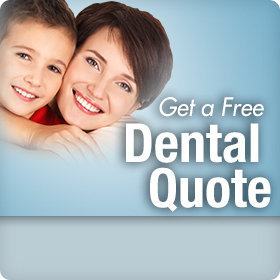 •All dental services are covered, as well as cosmetic treatments and orthodontia for adults. •Unlike traditional plans, there are no deductibles, yearly plan maximums, or waiting periods for any services. A dental discount plan is the perfect solution for the young Millennial wanting cosmetic treatment to help land a great job, or a Generation Xer, whose dental insurance just doesn’t cover enough when raising a family. And discount plans can make access to care a reality for Baby Boomers and Senior Citizens who often feel that going to the dentist is an unaffordable luxury when on a fixed income. No matter your age, click this link to find a Confident® dental discount plan through Careington®. This low-cost plan will save you and all other generations money, while helping to keep your teeth healthy for now and a long time to come.